Aeroflot announced yesterday it is backing out of the Transaero deal, explaining that the debt-laden airline had filed to submit a formal proposal for 75% plus 1 share by the agreed deadline. 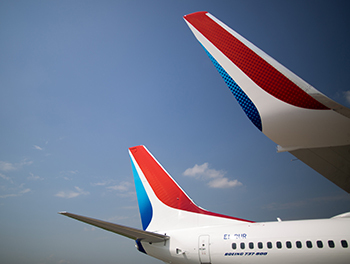 Russia’s flagship carrier decided not to extend the terms of the offer, abandoning the alleged merger of the country’s two largest airlines and leaving Transaero’s future in limbo. Aeroflot’s board commissioned the airline’s executive management to elaborate a plan for meeting Transero’s obligations to its passengers and minimize the consequences for the Transaero staff. The troubled airline will also receive a subsidy in the amount of RUR 5-6 bln to continue its operation for another month. A meeting chaired by Prime Minister Dmitry Medvedev decided to launch the bankruptcy process for Transaero. Federal Air Transport Agency enforced a ban on its ticket sales. Commenting on the results of the negotiations, a source told Interfax newswire that the Ministry of Finance had declined an earlier proposal to allocate state guarantees worth RUR 85 bln to Aeroflot for handling the Transaero merger.